The group started off about eleven years ago and has members from a mixture of ages and backgrounds. The turnout varies between six and fourteen people, though we have about forty people on the list of members. 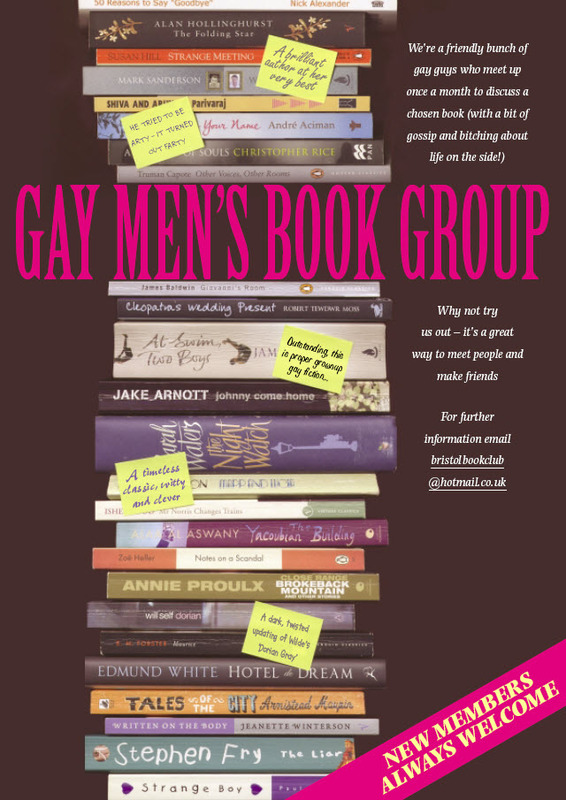 The books we read vary from ‘light’ to ‘heavy’, usually written either by or about gay men. Anyone is free to choose a book but they don’t necessarily have to introduce it themselves. Discussions are quite lively: we have one member (me) who loves virtually every book fairly uncritically and one who virtually savages every book (but he is quite gentle really!). We meet monthly, usually Tuesday, Wednesday or Thursday, at 7.30 for 8 in a member’s flat in the centre of Bristol and chat over a glass of wine, beer or cup of coffee. Enjoyed last night, good venue, views and lovely to see the wine flowing.